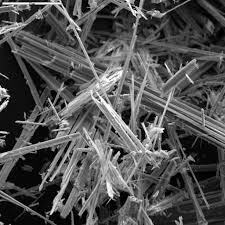 Asbestos is a mineral fiber that can be positively identified with microscope. There are several types of asbestos fibers. In the past, asbestos was added to a variety of products to strengthen them and to provide heat insulation and fire resistance. Breathing high levels of asbestos fibers can lead to an increased risk of lung cancer in the forms of mesothelioma.